Sisters Vanessa Bell and Virginia Woolf have long been celebrated for their central roles in the development of modernism in art and literature. Vanessa’s experimental work places her at the vanguard of early twentieth-century art, as does her role in helping introduce many key names – Cézanne, Matisse, Picasso – to an unsuspecting public in 1910. Virginia took these artistic innovations and applied them to literature, pushing the boundaries of form, narrative and language to find a voice uniquely her own. Yet their private lives were just as experimental. Vanessa’s marriage to art critic Clive Bell was shaken early on by his flirtation with her sister, and Virginia’s marriage to Leonard Woolf placed him more in the role of carer than husband as he tried to meet the needs of his wife’s fragile mental health. However, forming the core of the Bloomsbury Group, they welcomed into their London and Sussex homes a host of their talented peers, and caused speculation and scandal by following their hearts, not society’s norms, in their continued pursuit of love. 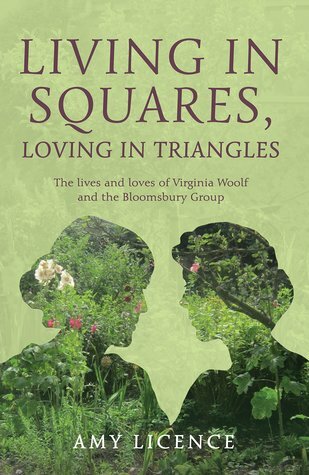 In Living in Squares, Loving in Triangles, Amy Licence explores the brave, passionate and innovative lives these remarkable women lived, and discovers where their strength and talent came from. ​"A page-turning collage of lives" ​Times Literary Supplement. Ida Nettleship was a flamboyant Bohemian who gave up a promising artistic career to marry Augustus John. She had five pregnancies in just six years, lived with Augustus and his mistress in a ménage à trois, and died exhausted in childbirth aged thirty. Ida’s story of unconventional love is equalled by two other Bohemian women of the same era: Picasso’s first love Fernande Olivier, who was prominent in the Paris art scene, and the writer Sophie Brzeska, who lived with the artist Henri Gaudier-Brzeska, nineteen years her junior ‒ he would die in the First World War and Sophie’s slow descent into mental instability would begin. 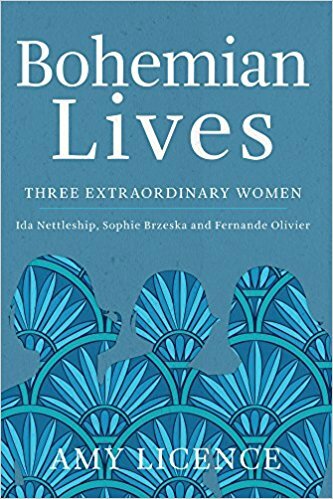 Bohemian Lives follows the achievements and sacrifices of the three women and how their lives overlapped and contrasted, in education, childbirth, illness, marriage ‒ and psychological disintegration. All three women had a huge influence on their more famous partner and challenged the accepted model of male–female relations of the time. At once touching and harrowing, their struggles for recognition in their own right hold a mirror up to the prejudices of an age – and what being ‘bohemian’ really meant. "Licence has a special ability to get inside the minds of the women so that we feel that their real voices are rising from the page to be heard above the noise and bluster of their more famous lovers. As readable as a novel and yet as factually accurate as it's possible to be, this is a fascinating glimpse into bohemianism. There are even treats at the end in the form of some previously unpublished poems and a play extract by Sophie Brzeska. Licence has worked her magic to bring these three forgotten figures to vibrant life once more and to allow their light to shine. An important and memorable collective biography." ​Amazon review.